Our aim is to build a family of agents that support each other, grow together and thrive! In order to build relationships, we limit our events to 15 people. To register for our upcoming event, please complete the following application. One of our Brokers will follow up with an email and call to confirm your registration. Are you a licensed agent? If, so who is your current broker? What is one of your personal strengths? What is something that you need help or support with in your real estate career? 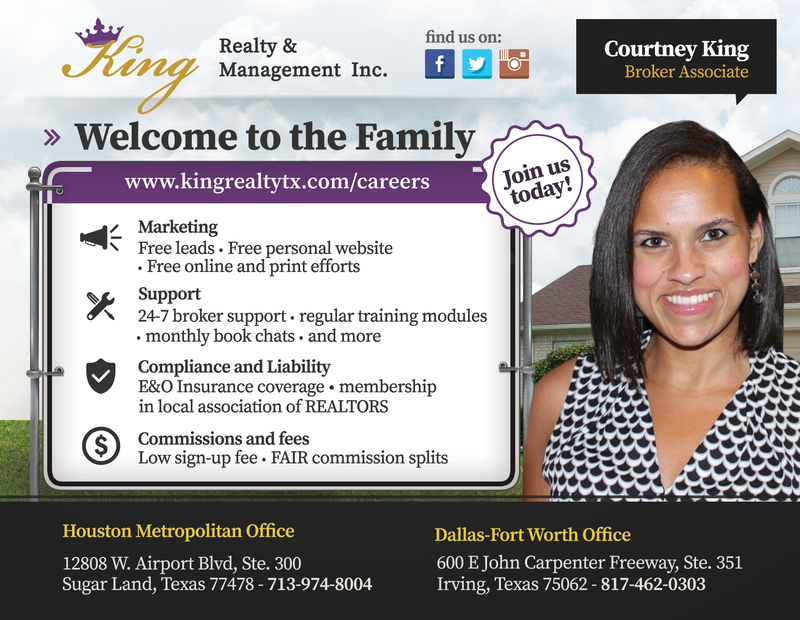 What is something that you can contribute to the King Realty family of agents? 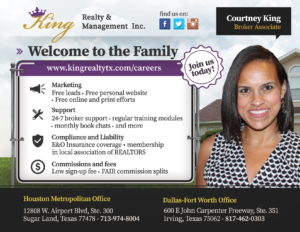 Do you have any particular questions for King Realty?